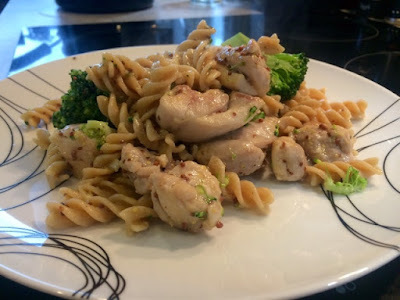 I’d like to introduce you to one of my new favourite midweek meals, mustard chicken pasta. I’m a bit fed up of my usual go-to pasta dinner, pesto plus any veggies and cooked meats or fish I have in the fridge. 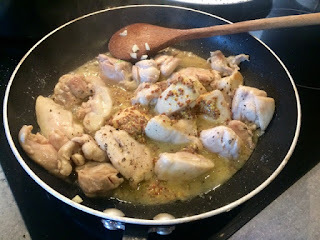 It’s a great quick and easy dinner and seriously scrummy but I am definitely the sort of person who gets bored of something if I have it too often or too regularly. This recipe made a really nice change as it’s a totally different flavour to the sort of dinners I usually make. 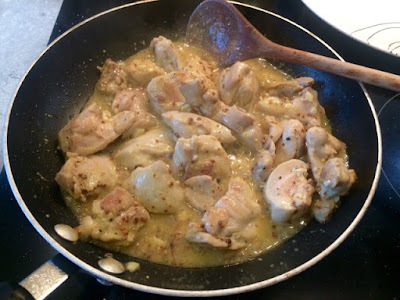 I’ve chosen to use chicken thighs rather than chicken breasts for this recipe and there are several reasons why. 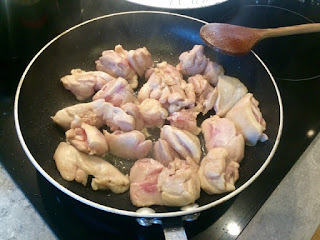 I’ve found myself switching to chicken thighs more and more recently, especially for dishes where it’s diced up like this mostly because they can be cheaper as well as more flavoursome. They stay a little more juicy than chunks of chicken breast and don’t dry out so much. 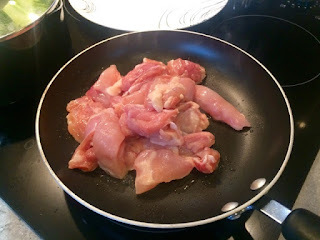 For the more health conscious gym bunnies among my readers, by all means use a nice lean chicken breast instead. 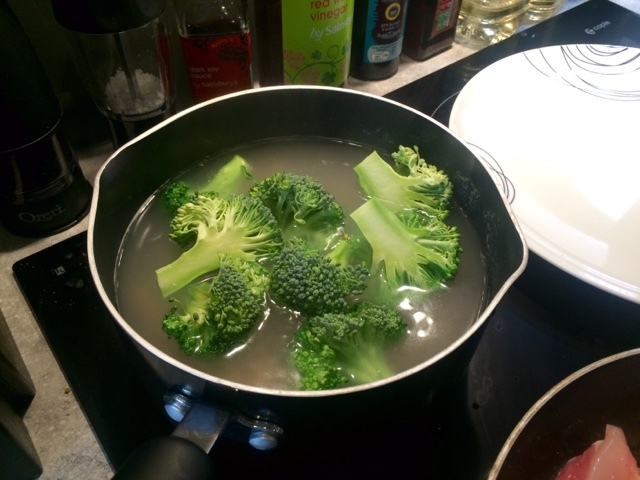 Alternatively if you really want to go low-fat, higher protein, go vegetarian… I’ve also found this is a really easy recipe to adapt for my vegetarian step-daughter. I’ve made it with quorn chicken pieces and it worked really well. The Boyfriend and I are still meat lovers but don’t mind swapping it out for quorn in some of our dinners. Quorn mince based dishes such as shepherd’s pie or spaghetti bolognese are things I’ve found really good for satisfying meat eaters and veggies alike. The dressing is one of my favourite aspects of this dish. 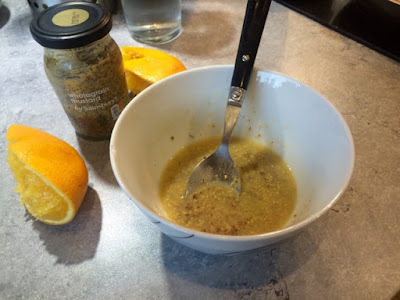 Mixed with orange juice, the mustard becomes much milder and sweeter and I’ve had several people who aren’t mustard fans tell me they really enjoyed it as the orange juice tames that kick from the mustard that a lot of people don’t like. I’ve not tried it yet but I’m sure this would be great on lots of other dishes, especially as a salad dressing. 1. Cook pasta in boiling salted water according to packet instructions. 2. 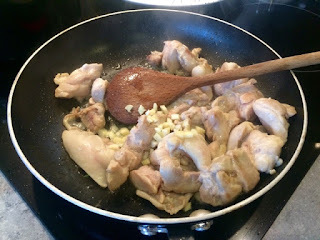 Meanwhile in a large pan heat the oil and cook the chicken, stirring until coloured all over. Allow to continue to cook by itself. 3. In a bowl mix together the mustard and orange juice. 4. 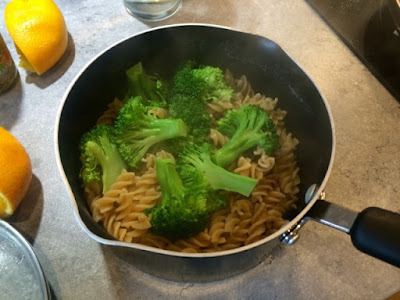 For the last few minutes of pasta cooking, add the broccoli to the pan and cover. 5. When the chicken is almost cooked, add the garlic, allow to cook for a few minutes before pouring in the mustard and orange dressing. Season well with salt and pepper. Allow to simmer gently. 6. Drain the pasta and broccoli. 7. When the sauce on the chicken has thickened a bit combine with the pasta and broccoli, stirring to ensure everything is evenly mixed and coated with the sauce. 8. Dish up on warmed plates/pasta bowls of a quick and tasty midweek meal.